Although the bottled water features images of sparkly mountains and states that it is fresh from the spring this is rarely true. It is important to know a little bit about where your water comes from and what it takes to get to you. There are plenty of reasons why you should opt out and drink tap water both for your sake as well as the environment. Over Priced Tap Water: It has been discovered that at least 25 percent of bottled water comes from the tap. Some companies filter the water and add minerals to it before bottling it but does this really make up for the thousand+ percent increase in cost? Low Regulation: Since we spend the money to have our water packaged in plastic bottles, the FDA classifies it as a food. Which means that it has significantly less regulation. Therefore, they have the ability to cut corners. Bottles may Contain Toxins: Even if you opt for a BPA free bottle this does not mean that the water itself is not contaminated. Studies have shown that bottled water can contain mold, phthalates, benzene, microbes, arsenic and up until recently E. Coli. Carbon Footprint: The Eco-costs for bottled water includes manufacturing, transportation, shelving and marketing. The ridiculously high demand for water bottles in the United States will require the amount of oil to keep 100,000 cars on the road for a year! This is an unnecessary waste of energy. Drinking water, which used to be a no brainer necessity has blown up and become a very carbon intensive luxury. 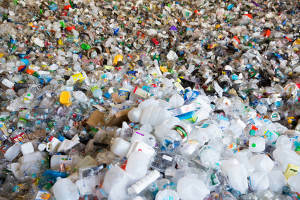 Waste: The U.S produces 70 million empty water bottles every day and although they are recyclable, at least 86 percent of them end up in a land fill. Thus, taking decades to break down and likely adding to the mass of waste polluting the oceans. It is a good idea to get a green, reusable water bottle to fill up and drink throughout the day. Not only will you save money but you can monitor where exactly your water comes from to fully understand what you are drinking. You can also find many different types of water bottles including built-in water filters and plenty of colors and styles. By choosing a reusable water bottle you will help save the environment and contribute to using less space in the landfill. Think win/ win. Call Chicago Gateway Green today to learn more about how you can go green and help the environment. 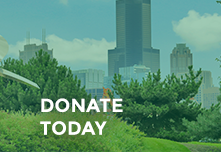 We are dedicated to greening and beautifying Chicago’s expressway, gateways, and neighborhoods.